Below you will find Top Kendriya Vidyalayas in Delhi 2018, List of Best Kendriya Vidyalaya Schools in New Delhi Region. Kendriya Vidyalaya Vigyan Vihar, under the patronage of Kendriya Vidyalaya Sangthan has been marching a head on the path penned by the broader objectives of KVS. Kendriya Vidyalaya, Ina Colony has become a centre of excellence in the field of Primary, Secondary & Senior-secondary education for the children. Kendriya Vidyalaya, RK Puram, Sector 4 since its inception it is being managed under the aegis of Kendriya Vidyalaya Sangathan. Kendriya Vidyalaya, RK Puram, Sector 8 was inaugurated with an aim to stand as the Model Vidyalaya with all required facilities to train the children as the best citizens. Kendriya Vidyalaya Masjid Moth, a premier co-educational institute was established in the year 1981 with 375 students on roll , 14 sections form Class I to VIII and 28 staff members. Promoted in the year 1986, Kendriya Vidyalaya BSF Camp, Chawla is a co-ed school managed by Kendriya Vidyalaya Sangathan. Kendriya Vidyalaya Rajokri, since its inception is managed under the aegis of Kendriya Vidyalaya Sangathan. Kendriya Vidyalaya Vikas Puri made a modest beginning from a humble initiative in 1988 in tents up to class V in 4. Kendriya Vidyalaya AGCR Colony was established with a view to impart quality education to the students in this region. Kendriya Vidyalaya, Gole Market is a co-educational school established in January 1970 by the Kendriya Vidyalaya Sangathan sponsored by the ministry of Education and social welfare with the object of providing educational facilities to the children of defence personnel and employees of autonomous bodies who are liable to be transferred from one state to another. 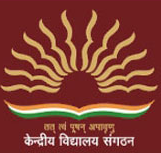 KV Tugalkabad is one of the oldest Institutes of Kendriya Vidyalaya Sangathan, New Delhi with the common pattern in terms of Fee, Admission, Uniform and Curriculum. 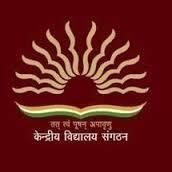 Kendriya Vidyalaya, Sector 8 Rohini is co-ed school affiliated with CBSE Board. Kendriya Vidyalaya PitamPura is a co-ed school managed by Kendriya Vidyalaya Sangathan.